Every classroom has a few eager students who always participate and a less enthusiastic majority content to sit back. Often asking students to raise a hand when they know the answer exacerbates this problem because some students process the question more quickly and their eagerness to answer can undermine others' confidence. 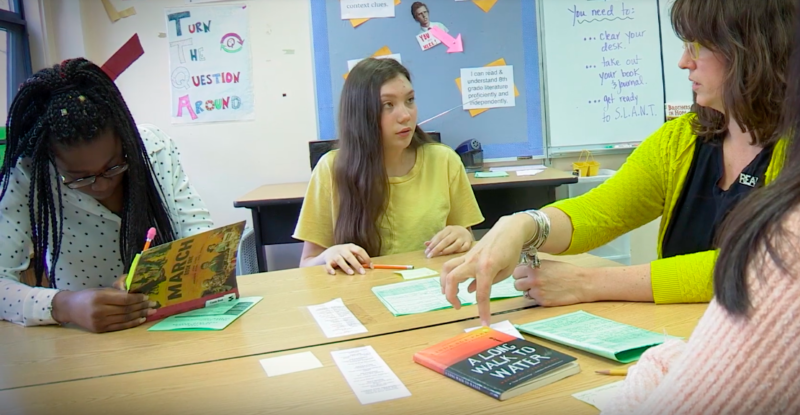 That's why Ann Young, a middle school math teacher, uses a thumbs up strategy that's less visible to give students more confidence participating. "You need instructional strategies and routines that allow everybody an entry point, particularly at the beginning of the class," Young said in an Edutopia series on the science of learning. If you have something where the kids are feeling like, 'Oh, this is great, I participated today, I contributed something today,' then they go on to their next task, you have them a little bit more than you would otherwise." Giving students some agency over their learning is another simple way to increase student motivation. No matter how carefully a teacher picks books to include in the curriculum there will always be students who aren't excited to read them. Letting students choose books they'll read in a book club format could make the difference for many. Ultimately teachers and parents want students to take ownership of their learning and be able to identify strengths and areas that need support. Some schools have found that student-led conferences are a good way to build this type of learner independence. "So often in anything that you do in education, in life, students always feel like, oh, adults are always saying their opinion. I don't have a voice. I never have any say," said Lynnel Reed, a school counselor. "So part of what we do with the student-led meetings is they get a chance to say what their concerns are, how they see things." "Interestingly, the social and emotional competencies are as important as the intellectual skills that we try to teach in school, and they predict more of how you do in school and in life than particular lessons that get taught academically," said Linda Darling-Hammond, President and CEO of the Learning Policy Institute.